"A judge who likes every result he reaches is very likely a bad judge." Like Scalia, he has shown a willingness to occasionally side with defendants on criminal law matters. He sided with a Albuquerque middle schooler who was strip-searched by his school, dissenting while his colleagues ruled that the school police officer and other employees are immune from lawsuits. In one 2012 dissent, he argued against applying the federal law banning felons from owning firearms to a defendant who had no idea he was a felon. And he's expressed concern with overcriminalization, saying that states and the federal government have enacted too many statutes forbidding too much activity. But on other matters, he has been, like his would-be predecessor, harsher. He has taken a limited view of a defendant's right to competent representation, and tends not to view death penalty challenges favorably. White smoke over President Donald Trump’s Trump National Doral Miami golf resort! The scandal of the luxury resort’s bed bugs is about to go away. In a bit of good news for the new president, court records show his attorneys in Miami have reached a tentative settlement with a business traveler who sued the resort after his back, face and arms were devoured by voracious bed bugs at the revamped resort. In a terse one-page report just slipped into the court file, court-appointed mediator Frank Allocca filed a notice that reads “an agreement was reached.” There were no details on what will likely be a confidential deal. 1. Trump to pick SCOTUS nominee tomorrow. The NY Times has this preview on how the nominee could affect upcoming cases. 2. The Ft. Lauderdale shooter was arraigned today. The PD's office assigned veterans Hector Dopico and Eric Cohen to the case. More from the Sun-Sentinel here. But it was an object lesson in what not to do. In December, Mark “The Shark” Quartiano, a celebrity Miami fisherman, found a kilogram brick of cocaine. He promptly alerted the authorities. Breeding did not. He instead handed over the 45-pound haul to four other people, on the condition they would sell the cocaine and pay a cut to Breeding. All five were caught in the summer — Breeding, a felon, had a firearm in his car when he was arrested — and faced conspiracy charges for the distribution of a controlled substance. Breeding pleaded guilty Wednesday, the News Herald reported, as did the other members of the network; they are awaiting a Feb. 16 sentencing. Breeding may be punished with up to life imprisonment and a fine in the millions of dollars. Pryor fading... Gorsuch and Hardiman rising. One of Donald Trump's Supreme Court advisers said the process of picking a nominee is "very far along" -- and had words of praise for Colorado judge Neil Gorsuch. "There is a lot of information in the hopper about who these people are and what their records are like and what qualities they have to serve on the Supreme Court," Leonard Leo told ABC's Jonathan Karl and Rick Klein on the "Powerhouse Politics" podcast. Although Leo cautioned he would "never assume a front-runner," he spoke highly of Gorsuch, who sits on the bench of the 10th Circuit Court of Appeals in Denver. "He has very, very distinguished background," Leo said. "He has probably 200 or so published opinions as an appeals clerk judge. They are extremely eloquently written, they're incisive, understandable, clear, opinionated." For all his Instagram photos of guns, cash and drugs, the self-proclaimed “CEO of the Purple Drank” insisted he wasn’t actually peddling large bottles of prescription cough syrup to Miami’s hip-hop crowd. He posted all that stuff to enhance his street cred, self-described rap producer Harrison Garcia told a federal judge Monday. And for the likes on social media. The government is accused (again!) of invading the defense camp. The government executed a search warrant on Dr. Melgen’s office back in February of 2013. According to the motion, Dr. Melgen then retained a Medicare billing consultant, Ann Rose, to assist them in the representation. Nevertheless, the government subpoenaed Dr. Melgen for records related to Ann Rose. Dr. Melgen’s lawyers informed the government that it had retained Rose and asked the government if it had issued a Grand Jury subpoena directly to her. The government responded that it had issued a subpoena, but that it was prior to learning that Rose had been retained by Dr. Melgen’s lawyers. So, Dr. Melgen’s lawyers requested that they be allowed to participate to protect the privilege. The government did not respond and went forward without allowing Dr. Melgen’s lawyers to participate. An indictment was returned in April of 2015. Post indictment, Dr. Melgen learned that the prosecution had issued another Grand Jury subpoena to Ms. Rose a month after his lawyers had informed the government that she was working for them as a consultant on the case. Ms. Rose had complied with the subpoena and was interviewed by the prosecution. Dr. Melgen’s attorneys were never told of the interview, any grand jury appearance, or allowed to lodge any objections. And, the government apparently has not provided any discovery to Dr. Melgen related to what happened. On December 6, 2016, Dr. Melgen filed a motion in limine seeking discovery from SDFL and an proffer outside the presence of the jury if the government seeks to call their case consultant at trial. This month, the prosecution responded by telling Judge Marra that they didn’t ask any questions about the consulting engagement and Ms. Rose didn’t reveal any privileged material. Dr. Melgen’s reply stated the obvious: how would Dr. Melgen or his attorneys ever know what happen or how to object without any discovery? If true, how can the government justify issuing a subpoena to an attorney’s consultant with knowledge that the consultant is part of the defense team without even giving the lawyers an opportunity to object? Here's the motion, response, and the reply. Should be interesting to see how this plays out. The case was investigated by the DEA, ICE and the FBI, in cooperation with Mexican and Colombian law enforcement authorities. Substantial assistance was provided by the U.S. Attorney’s Offices in the Northern District of Illinois, the Western District of Texas, the Southern District of New York, the Southern District of California, and the District of New Hampshire. The Department of Justice’s Office of International Affairs also provided assistance in bringing Guzman Loera to the United States to face charges. The investigative efforts in this case were coordinated with the Department of Justice’s Special Operations Division, comprising agents, analysts, and attorneys from the Criminal Division’s Narcotic and Dangerous Drug Section, DEA, FBI, ICE, the Bureau of Alcohol, Tobacco, Firearms and Explosives, the U.S. Marshals Service, the Internal Revenue Service Criminal Investigation, the U.S. Bureau of Prisons, and the New York State Police. Our very own U.S. Attorney Ferrer is making an appearance "of counsel" in the EDNY case. What a show... the government even filed this detention memo, as if El Chapo is going to get a bond. Ha! We see you, Judge Ed Carnes. We see you! Kimberly, Kourtney, and Khloe Kardashian appeal the district court’s denial of their motion to compel arbitration of Kroma Makeup, EU’s claims against them for cosmetics trademark infringement. At first blush, the issue appears to require application of Florida’s doctrine of equitable estoppel under which a party to an agreement who relies on it in a dispute with a non-party can be required by that non-party to comply with other terms of the agreement, including the arbitration clause. But there is a wrinkle in this case: the arbitration clause which the non-party to the agreement is seeking to enforce is explicitly limited to disputes between the parties. What then? Like makeup, Florida’s doctrine of equitable estoppel can only cover so much. It does not provide a non-signatory with a scalpel to re-sculpt what appears on the face of a contract. The district court correctly denied the Kardashians’ motion to compel Kroma EU to arbitrate the dispute between them. Whether that's true is not clear. Prosecutors and agents are still combing through electronic devices Santiago may have used, looking for evidence to show whether he was radicalized and whether he actually visited those terrorist chat rooms and websites, law enforcement sources said. Santiago's statements to investigators were revealed during a court hearing Tuesday in federal court in Fort Lauderdale. With dozens of T-shirt clad supporters and his wife looking on, former Haiti rebel leader and Senator-elect Guy Philippe pleaded not guilty Friday to drug-trafficking and money-laundering charges in a Miami federal courtroom. Philippe’s plea came as his recent arrest by the Haiti National Police continued to spark nationalist sentiments in Haiti and abroad, and his supporters demanded answers about how he could have been turned over so quickly to U.S. federal agents for prosecution in the United States. Philippe’s lawyers and supporters say there was no legal procedure followed, and he was essentially taken from Haiti without any formal process. The Haiti National Police, they said, voluntarily turned him over to the U.S. Drug Enforcement Administration, which brought him to Miami on Jan. 5. William Matthewman, a U.S. magistrate judge for the Southern District of Florida in West Palm Beach, was a uniformed police officer for the City of Miami in January 1977. He was on patrol, and handling a traffic stop with some other officers. He remembers it was bitterly cold. Matthewman said he recalls the driver in the traffic stop got a “snow break” and no ticket. Climatologically, it is not supposed to snow in South Florida. The laid back tropics are a region constantly gaining energy from the sun, and with Florida’s temperatures moderated by warm water on three sides, snow is unusual even in northern reaches of the state. 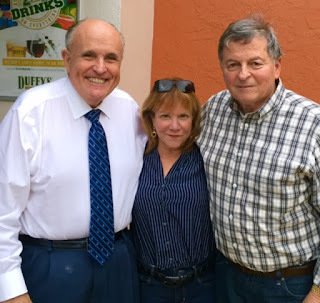 If other blogs can report on Trump meeting with Pryor, we can report on Guliani meeting with Jon Sale (and his wife Jayne Weintraub). Sale, one of the leading candidates for U.S. Attorney, and Guliani are law school classmates and close friends. It may give him the inside track for the gig if he wants it. On Saturday afternoon, here in cold and snowy New York, President-elect Donald Trump interviewed Judge William Pryor of the Eleventh Circuit for the open seat on the U.S. Supreme Court. The opportunity to meet with PEOTUS to talk about SCOTUS must have lifted Judge Pryor’s spirits, in the wake of the loss of his beloved Crimson Tide in Monday’s football championship. The news of a Trump/Pryor meeting, while notable, is not surprising. At last week’s press conference, Trump said that SCOTUS meetings are underway and we should expect a nominee within two weeks of inauguration day. And Judge Pryor, beloved by conservatives, sits at the top of the Trump SCOTUS list. Judge Pryor is very conservative and very outspoken — but he’s also very smart and a stickler for preparation, and he would likely perform well at confirmation hearings. He might not be able to bob and weave around the issues as well as some other nominees, given his paper trail and past pronouncements (and he might not even bother to; recall how he refused to disavow his “Roe is an abomination” comment in his 2005 hearings). But Bill Pryor is not going to self-immolate like Robert Bork in 1987; he’s too shrewd for that. And short of a self-immolation, he has a solid shot of winning confirmation, with 52 Republicans in the Senate (plus some Democrats who might cross over — Vice President-elect Mike Pence is already working on that). Via Politico, great quote from a senior Trump person on the transition process... David Lat from Above the Law has coverage of the SG sweepstakes and the DOJ transition, which all seems very chaotic. The process for this District doesn't seem any more organized. The nice thing about blogging is that we can post rumors as they come in (oh wait, the MSM does that too, see Golden Showers!). We don't have anything like that, but we have it on a reliable source that the Trump administration has asked U.S. Attorney Willie Ferrer to resign. [UPDATE -- someone with knowledge of this has indicated that this rumor is false and that Willie has NOT been asked to resign.] If true, there should be a shakeup in that office in the near future. There's also been quite a bit of speculation on what Mr. Ferrer will do next. I'll leave that for him to say. The defense team said they would like Schmidt to be held in a marshal-supervised hotel until a full bond hearing could be held in Michigan. They argued Schmidt had cooperated with the U.S. government by meeting with FBI agents of his own volition in London early in the investigation. "He showed that he has absolutely nothing to hide from the government," Massey told the judge. Massey also said Schmidt's arrest came as something of a surprise, because the government told Schmidt's attorneys as recently as Dec. 16 that he was only a "subject" and not a "target" of the investigation. Singer insisted that Schmidt's meetings with U.S. officials were rife with deception. Schmidt traveled to the U.S. to meet with regulators in 2015 and deliberately hid the emissions test cheating from them, Singer said. "It's actually, I think, a fact that weighs against him," he said. Schmidt's local lawyer is one of the candidates for U.S. Attorney, John Couriel. If John gets the gig, there may be some hope that he softens the office's very harsh position on bail. There was a ton of press at the airport shooter's initial appearance yesterday. "The judge told him the maximum penalty -- DEATH!" "He was shackled!" "The prosecution is seeking detention!" So basically, like every other initial appearance, except that the maximum penalty in this case could be the death penalty. In every initial appearance, the defendant is shackled and the judge reads the charges and the maximum penalties. And in every case of serious violence, the prosecution seeks detention. In any event, he's very lucky that he will have the Federal Public Defender's Office representing him in this case. It will be extremely interesting to see if the government actually seeks the death penalty. You would think it wouldn't based on all of the reports of mental illness and that the FBI returned the gun to him. But with the new AG Jeff Sessions, who knows. Perhaps he will use this case to start off his administration with a new direction by trying to reinvigorate the federal death penalty. Local and federal authorities think they know who leaked security video of the Fort Lauderdale-Hollywood International Airport shooting to TMZ. Broward Mayor Barbara Sharief told CBS4 News that she’s doesn’t specifically know who leaked the video, but she’s fairly certain it was a member of law enforcement. TMZ obtained the dramatic surveillance video of suspected mass murderer Esteban Santiago calmly pulling a gun from his waistband and shot 15 bullets at Terminal 2’s baggage claim at Fort Lauderdale-Hollywood International Airport on Friday. Five people were killed and even more were injured. It’s video that Sharief said the public was never meant to see. Sharief said it appeared that the video released to TMZ was taken by someone recording the surveillance video with a cellphone. She said a reflection captured on the cellphone recording might give away the person by identifying the law enforcement agency the person works for. “We were able to clearly see the association or agency that the person was with and identify some other significant characteristics,” she said. Sharief said the identity of the person who recorded the video and possibly leaked it isn’t known, but the county asked the FBI to investigate. Sharief said after airport officials and the FBI enhanced the reflection, investigators were able to rule out airport and FBI personnel. The case will be prosecuted by Rick Del Toro with assistance from Department of Justice Trial Attorney Larry Schneider. Esteban Santiago Ruiz will make his initial appearance on Monday at 11am before Magistrate Judge Alicia O. Valle in Fort Lauderdale, Florida. Interestingly, Judge Valle used to be the press person for the U.S. Attorney's Office, so she will know how to handle the media, which will be packing her courtroom. If Ruiz and his family do not retain counsel, he will be appointed counsel, likely the Federal Public Defender's Office, which is well-equipped to handle a case like this. If the government seeks the death penalty (that decision will be made in D.C. by the new Attorney General), then learned counsel (a lawyer with death penalty experience) will be appointed to the trial team. The federal charges include: Title 18, United States Code, Section 37(a)(1), performing an act of violence against a person at an airport serving international civil aviation that caused serious bodily injury; Title 18, United States Code, Section 924(c)(1)(A), using and carrying a firearm during and in relation to a crime of violence; and Title 18, United States Code, Section 924(j), causing the death of a person through the use of a firearm in the course of a violation of Title 18, United States Code, Section 924(c). The statutory charges authorize a maximum penalty, upon conviction, of death or imprisonment for life or any term of years. According to the complaint, on January 6, 2017, Esteban Santiago Ruiz was present in the Terminal 2 baggage claim area of the Fort Lauderdale-Hollywood International Airport in Fort Lauderdale, Florida, when he pulled out a gun and started shooting until he was out of ammunition. Santiago killed five people and wounded six more. Moments later, Santiago was confronted by a BSO deputy. He dropped his handgun on the ground and was arrested by BSO deputies. According to the complaint, he then confessed after being read his Miranda rights. The Judicial Conference of the United States has authorized the appointment of a full-time United States magistrate judge for the Southern District of Florida at Fort Pierce. The current annual salary for the magistrate judge position is $186,852 per year. The term of office is eight years. Interested persons may contact the clerk of the district court for additional information and application forms. The application form is also available on the Courts website www.flsd.uscourts.gov. Applications must be submitted only by applicants personally to; Flsd_magistratejudgerecruitment@flsd.uscourts.gov and must be received by February 6, 2017. Will Judge Ursula Ungaro be the next U.S. Attorney? The rumors are swirling, and apparently many are pointing to Judge Ungaro as the next U.S. Attorney for the Southern District of Florida. (For a list of the other potential candidates, see here). I've received emails from numerous sources on this, so I reached out to Judge Ungaro for comment. She said: "We have a fine U.S. Attorney and, to my knowledge, he has not resigned. In the event he chooses to do so, and I hope he does not, the U.S. Attorney's position is extremely important, interesting and challenging, and whoever is appointed should have maturity, good judgment, and value the rule of law in the pursuit of justice." Well, Judge Ungaro certainly has all of those characteristics. 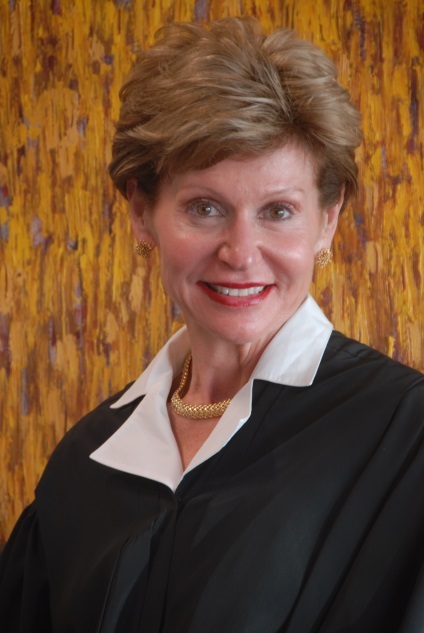 I've had lots of cases before Judge Ungaro (both as a PD and in private practice) -- she is wickedly smart and is really fair (as an example, see the sentences she handed out in the Greer case). She would whip that office into shape, that's for sure. Federal prosecutors are dropping the criminal case against a man accused of issuing a Facebook threat to "exterminate" gay people in South Florida, according to a court document filed Tuesday. The decision to drop the case against Craig Jungwirth comes about six weeks after prosecutors publicly acknowledged in court that the evidence against him was "weak." He was arrested on allegations that he posted an online threat that read, in part: "None of you deserve to live. If you losers thought the Pulse nightclub shooting was bad, wait till you see what I'm planning for Labor Day." a lawyer, designed key precursors of the Great Seal of the United States and the United States flag famously attributed to Betsy Ross. These individuals are not well known in our era, but they launched the new system of United States district courts and set the course for the important role those institutions would come to play in the new republic. Speaking of District Judges, there is a rumor going around that one of our own DJs is interested in the new U.S. Attorney slot. Anyone else hearing this?